Church Insurance Winter Haven Fl —Need Better Options? If you are searching for better options on Church Insurance in Winter Haven Fl or the surrounding areas, please call the licensed agents of Strong Tower Insurance by dialing 1-800-329-0093. 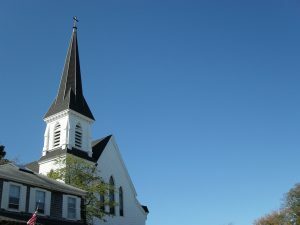 We at Strong Tower Insurance offer competitive solutions for Church Insurance in Florida, Georgia, South Carolina, and North Carolina. As an independent agency we can help you find the coverage you need for your Church no matter the size of your congregation! Church Insurance Winter Haven Fl — The Basics Part Two. In our previous post which you can read by clicking on Church Insurance Lakeland Florida we discussed the need to exercise caution when shopping for Florida Church Insurance as there can be variations to the coverage provided — meaning not all policies are identical. In addition, we discussed General Liability, and Commercial Auto Liability Insurance. We cited two claims examples that included an injured parishioner on Church property, and an automobile accident by a Church bus driver. In this article we are going to discuss Property Coverage. Property Coverage may consist of coverage for buildings and business property used for the Church. If your Church only leases the building in which it resides, Business Personal Property would be needed. In some cases, depending on the terms and conditions of the lease, the building owner may require your Church to cover the building itself. Church Insurance Winter Haven Fl — Property Coverage the Basics. Keep in mind that Property Coverage is different from Liability Coverage. Liability Coverage extends protection for injuries or property damage that you are legally liable to pay for. Property Coverage can cover, if applicable, your owned buildings, or business property. Typically, there are three Causes of Loss Forms for you to choose from when you are setting up your initial property coverage. The forms designation, Basic, Broad, Special represent the claim events that would be covered by the policy. Basic Form – coverage is provided for Fire Claims, Lightning, Explosion, Windstorm, (there may be a wind exclusion depending on the proximity to the coast) Hail, Smoke, Aircraft or Vehicles, Riot or Civil Commotion, Sprinkler Leakage, Vandalism, Sinkhole Collapse, (could be restricted or limited in Florida) and Volcanic Action. That raises a likely important question in your mind. What if something happens to my building or business property that is not named in the policy? We will consider that in next month’s post plus share examples of where coverage would apply. Church Insurance Winter Haven Fl — Call Us for a Policy Review Today Escalation Point! As we will consider in a series of new articles there is certainly a bit more to Commercial Insurance than you might imagine. That’s why it’s important to work with an agency like Strong Tower Insurance. We will take the time to explain your options. Why not give us a call today by dialing 1-800-329-0093 Monday through Friday until 5 PM? If you have found our company on the weekend or after 5 PM please let us know about your interest by choosing one of the links below and completing a few details. One of our agents will get back with you very soon.